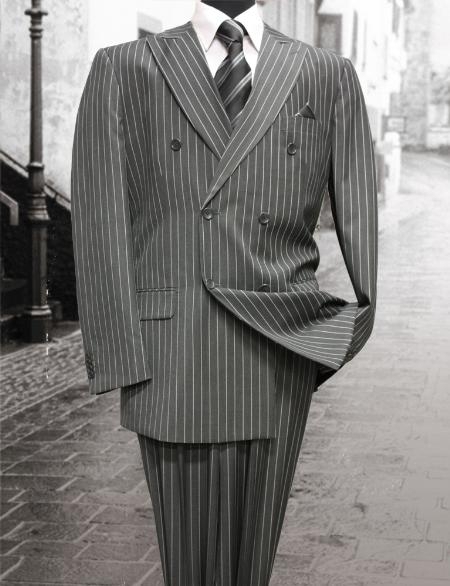 The 1940s were a time for men’s fashion to simplify. 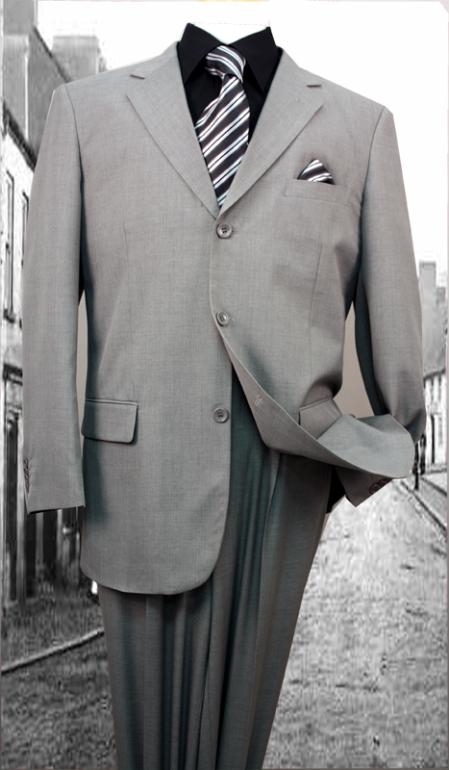 World War 2 placed restrictions on 1940s men’s suits reducing the exaggerated shoulders, large prints, wide legs and accessories down to what we call a classic fit today. 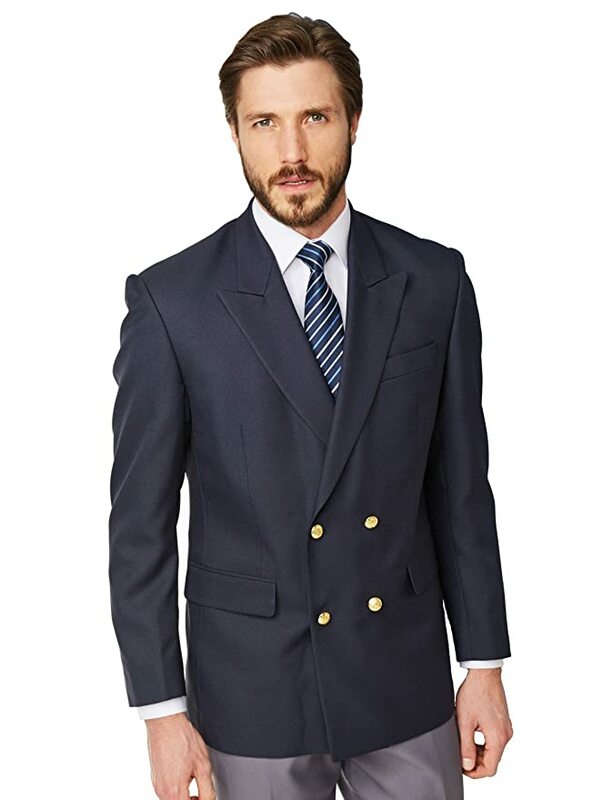 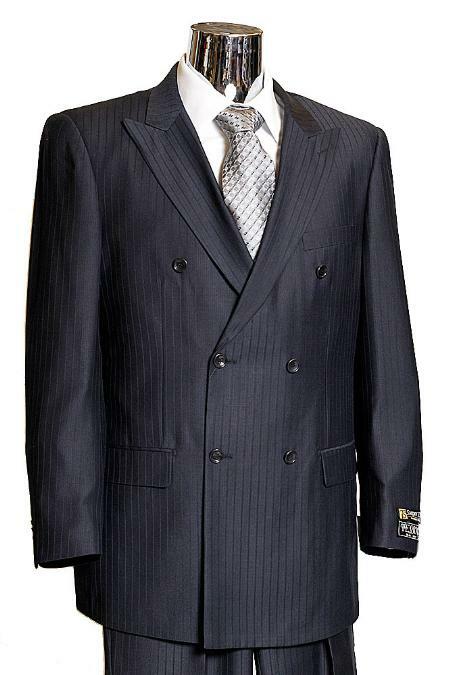 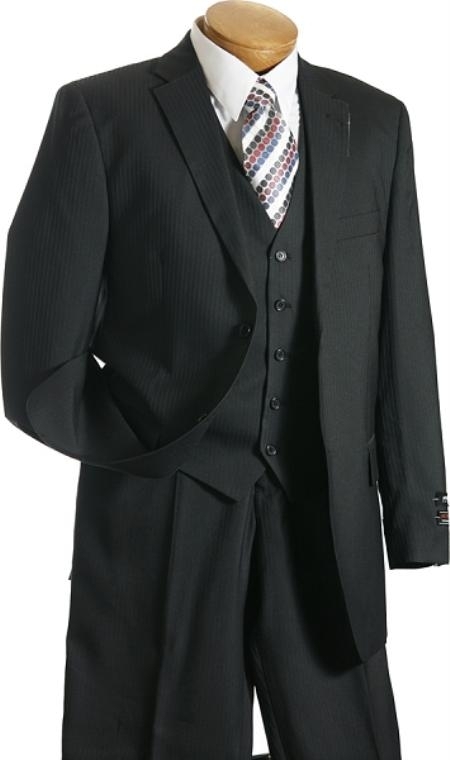 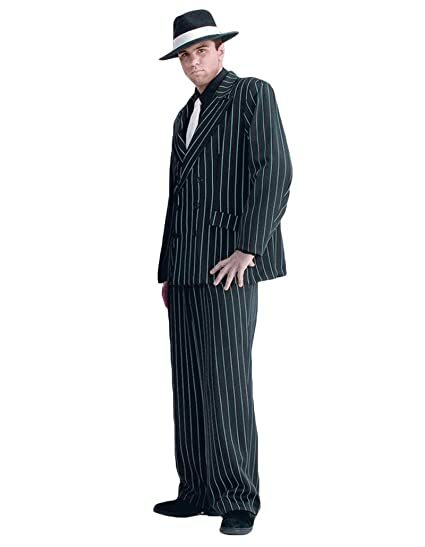 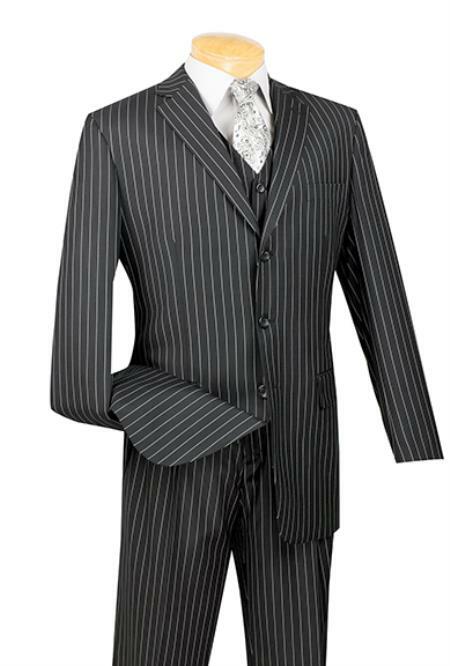 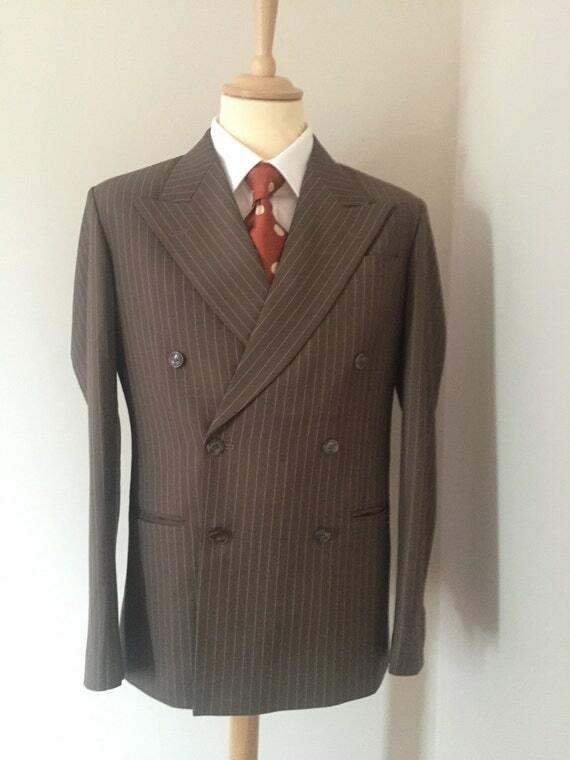 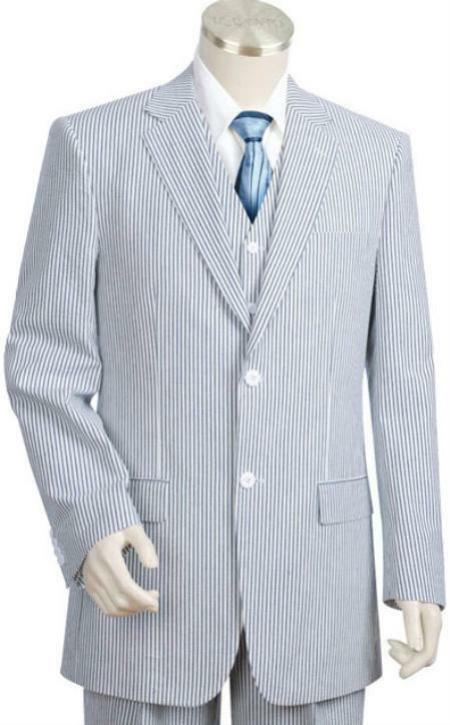 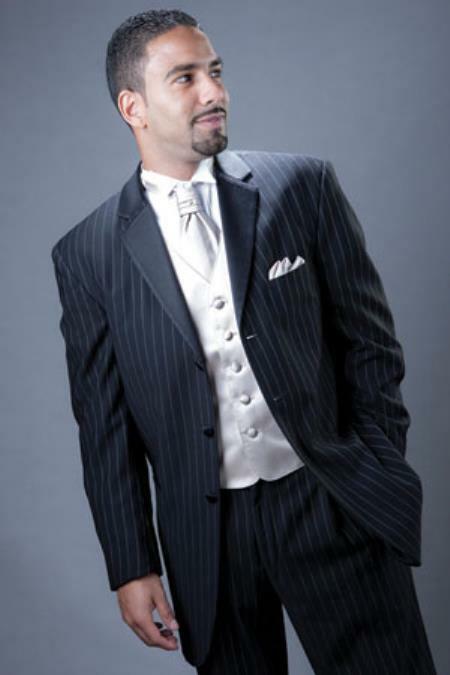 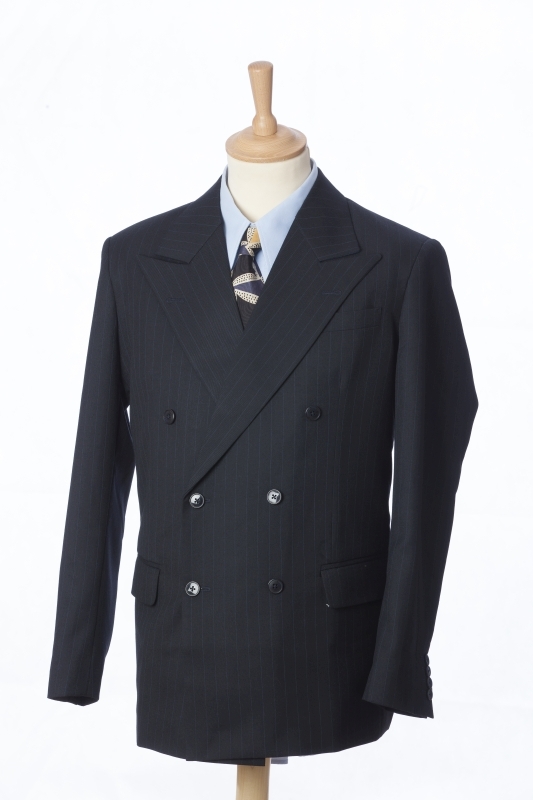 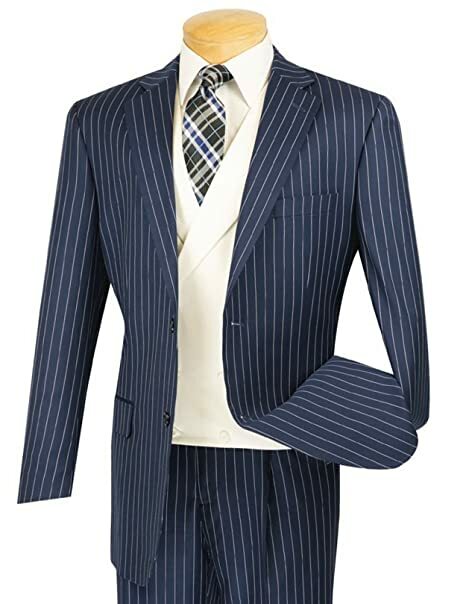 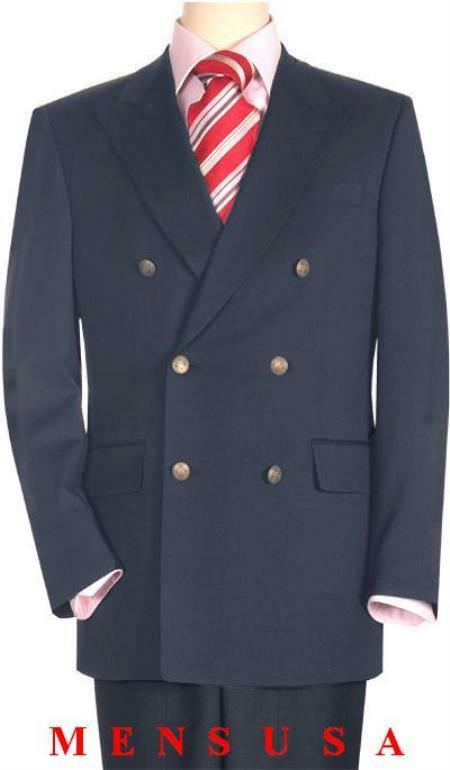 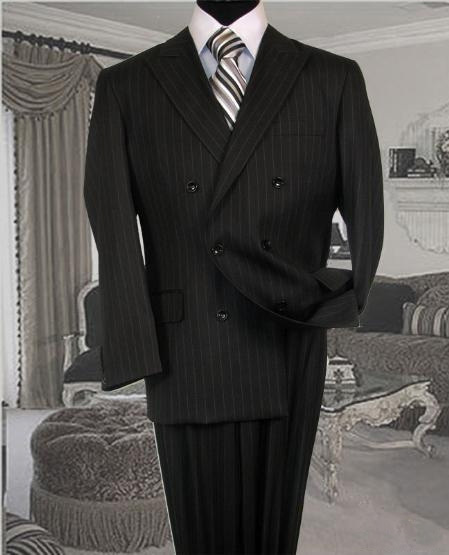 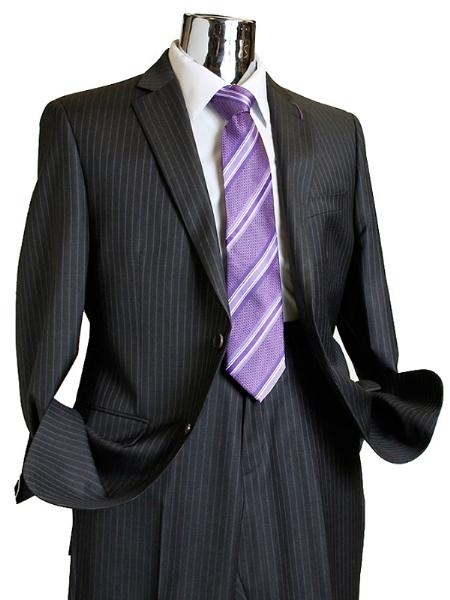 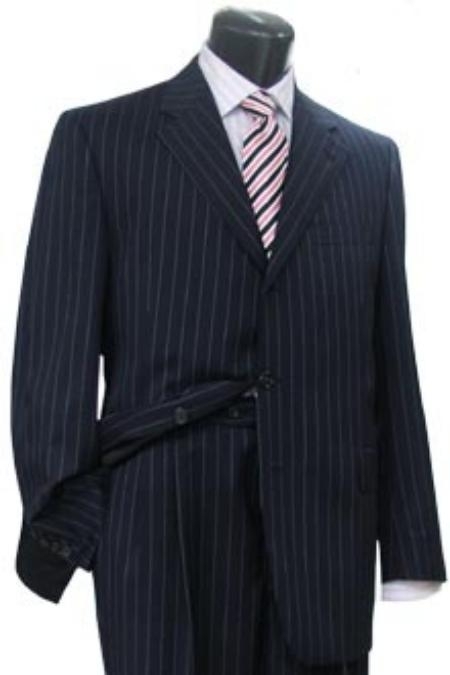 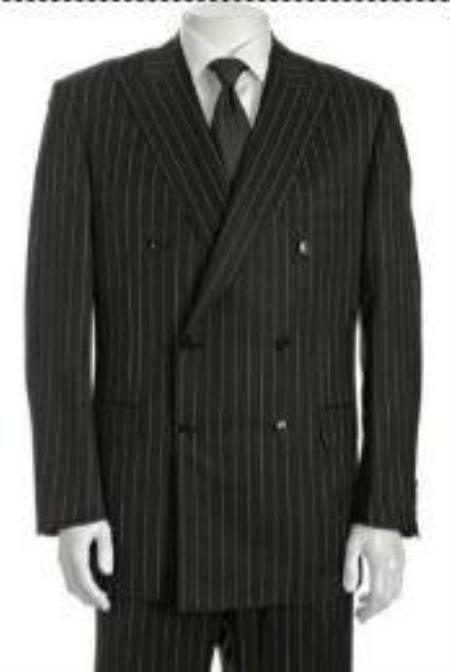 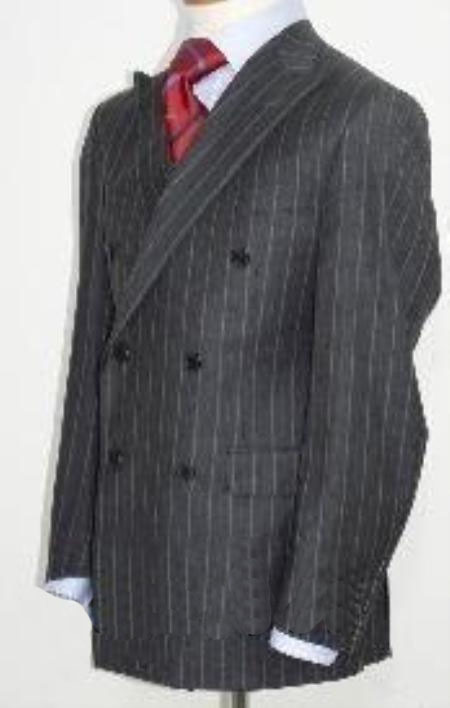 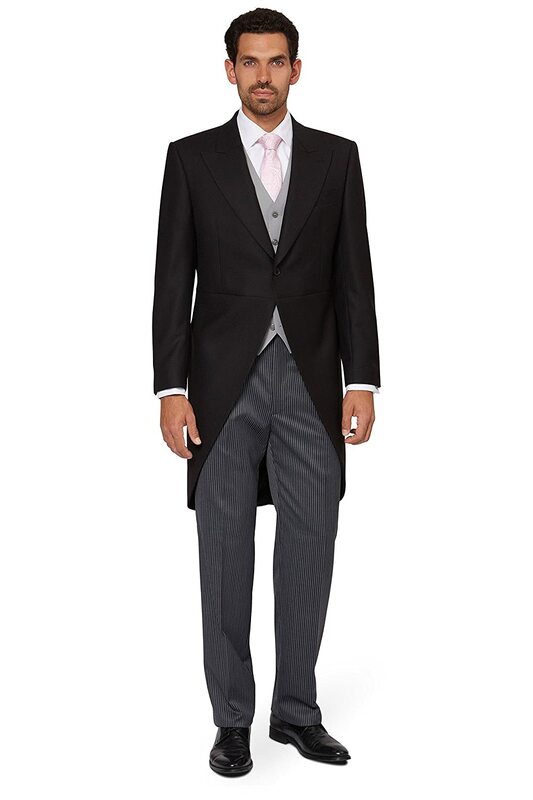 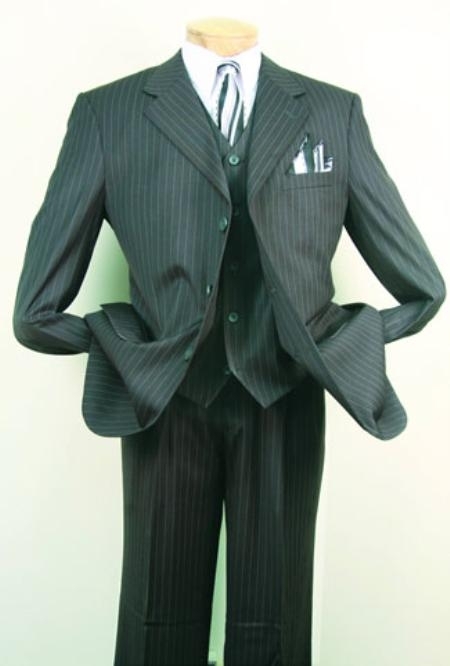 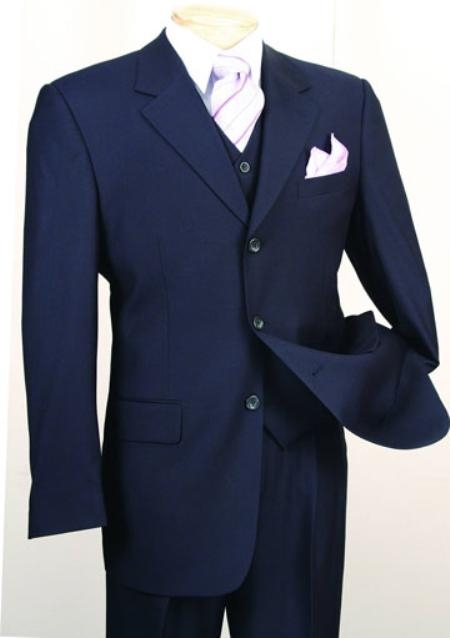 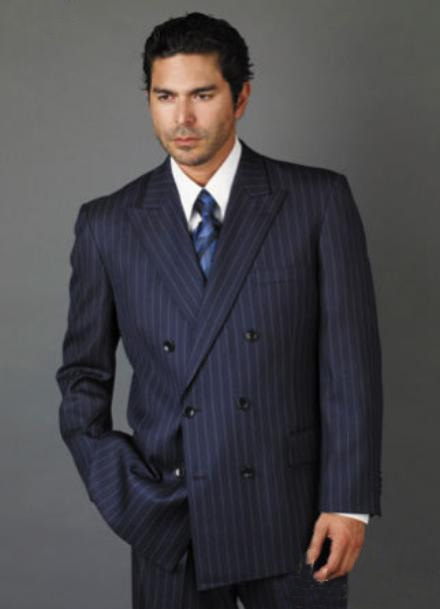 Pinstripe suits dominated the decade in navy blue, grey and brown. 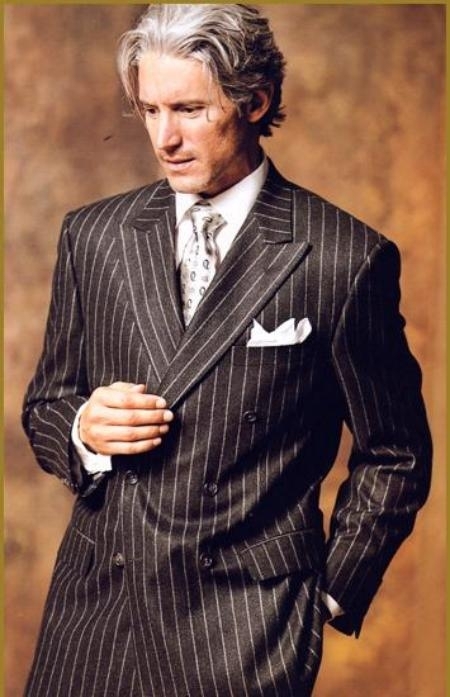 Other subtle patterns like windowpane or plaid were still popular. 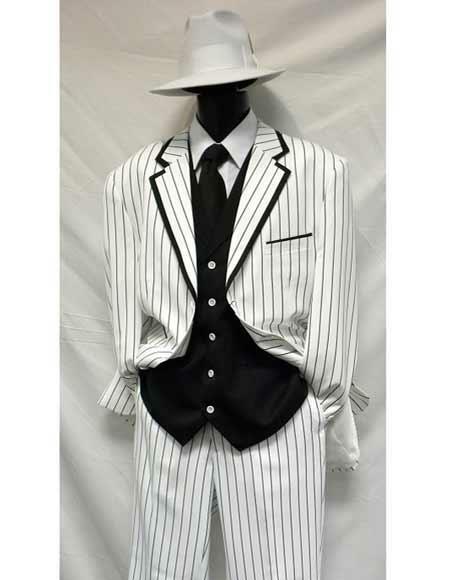 For inner-city youth, the outlandish Zoot Suit or Pachuco suit in bright colors, wide stripes, big patterns and oversized features were a fashion rebellion that can still be found in urban men’s clothing today. 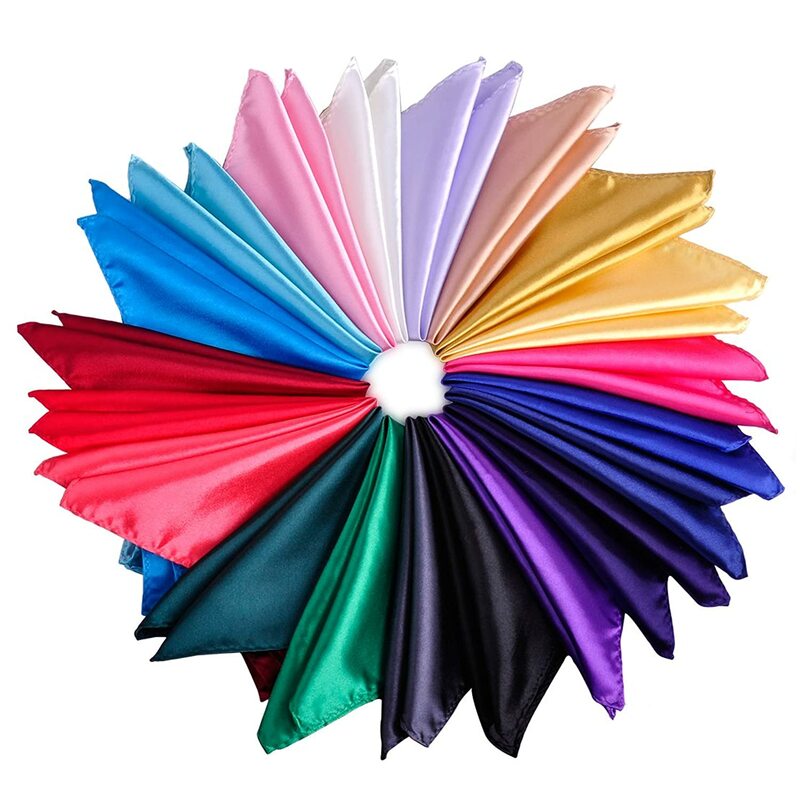 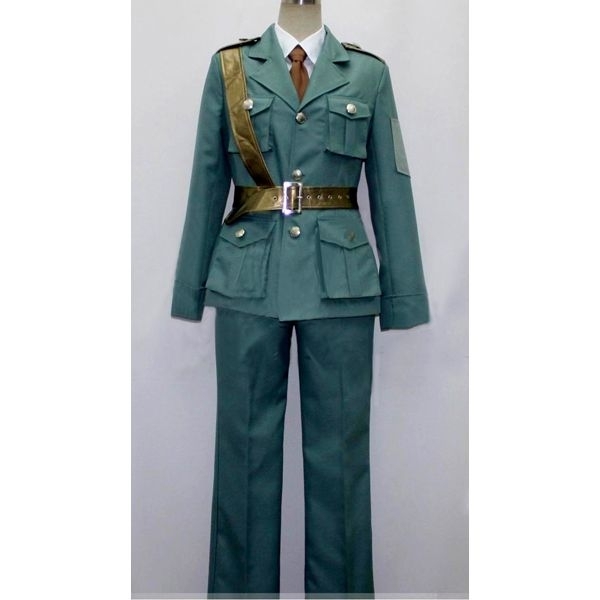 These bold styles have become associated with 1940s gangster suits and mobster costumes as well as outfits for Big Band musicians, swing dancers, and WW2 reenactors. 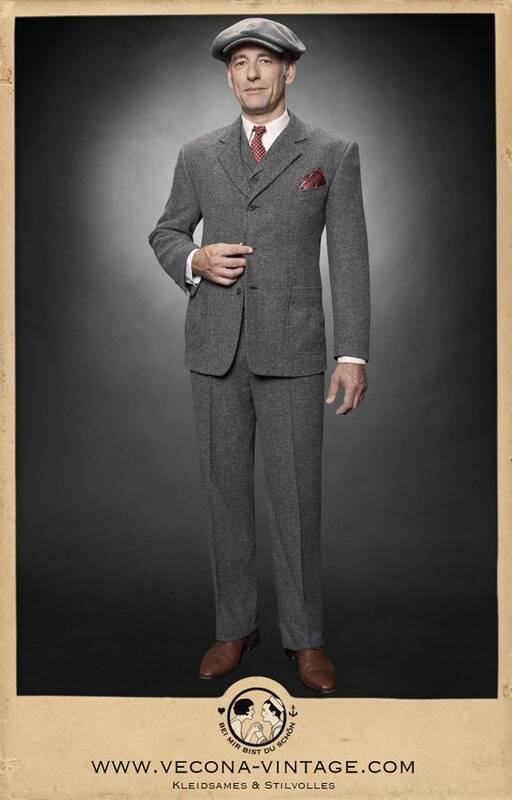 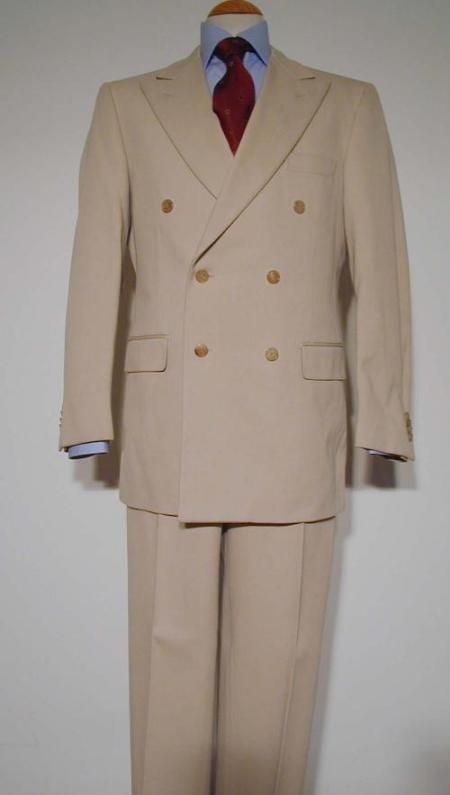 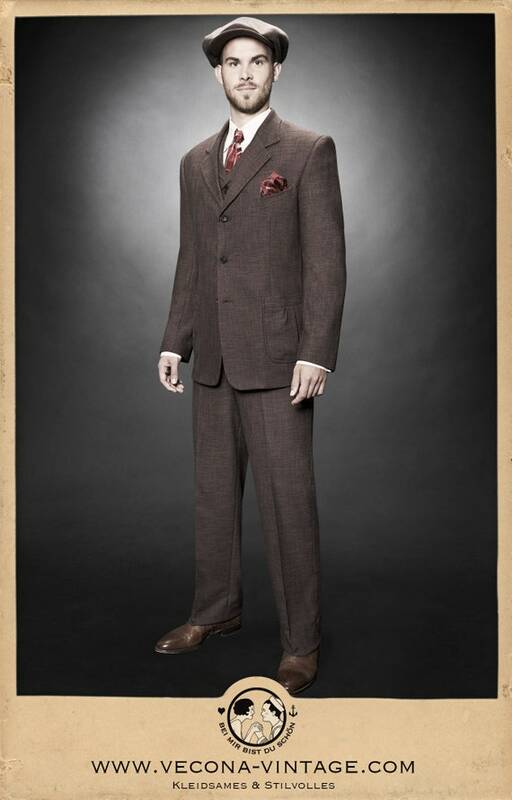 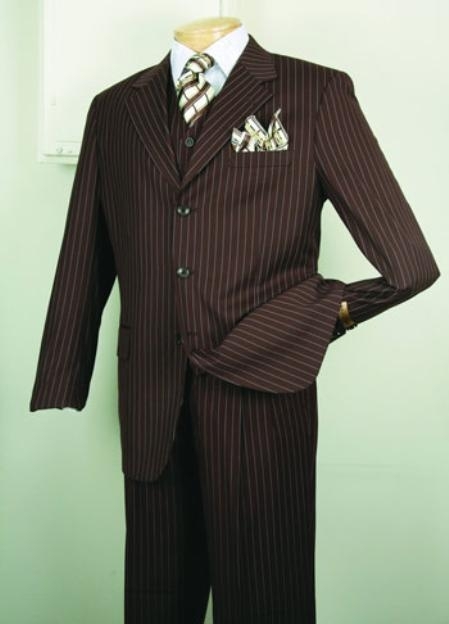 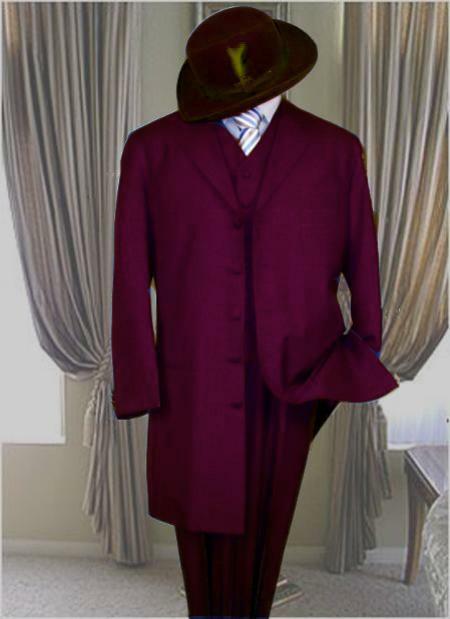 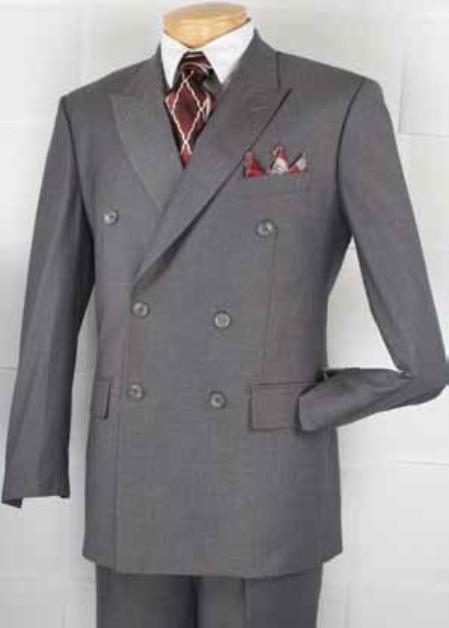 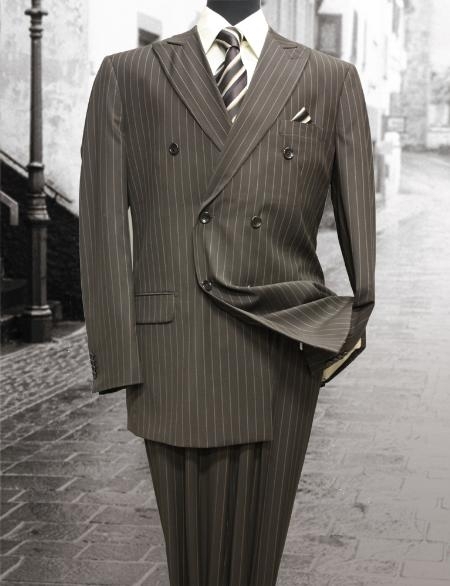 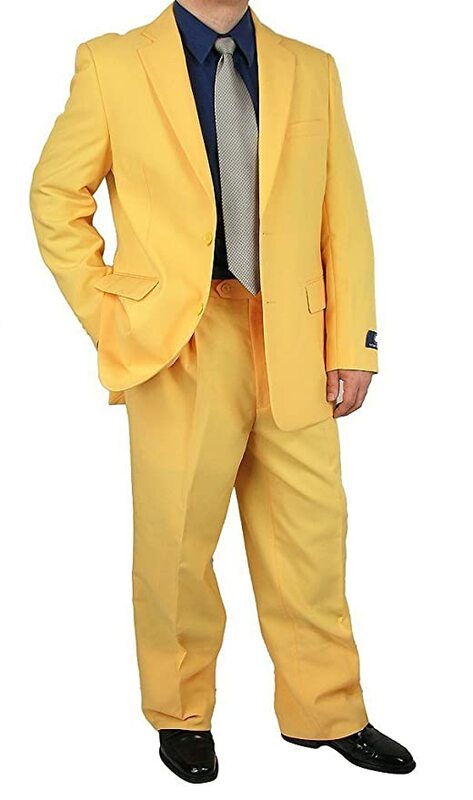 Learn more about 1940s men’s suit history here. 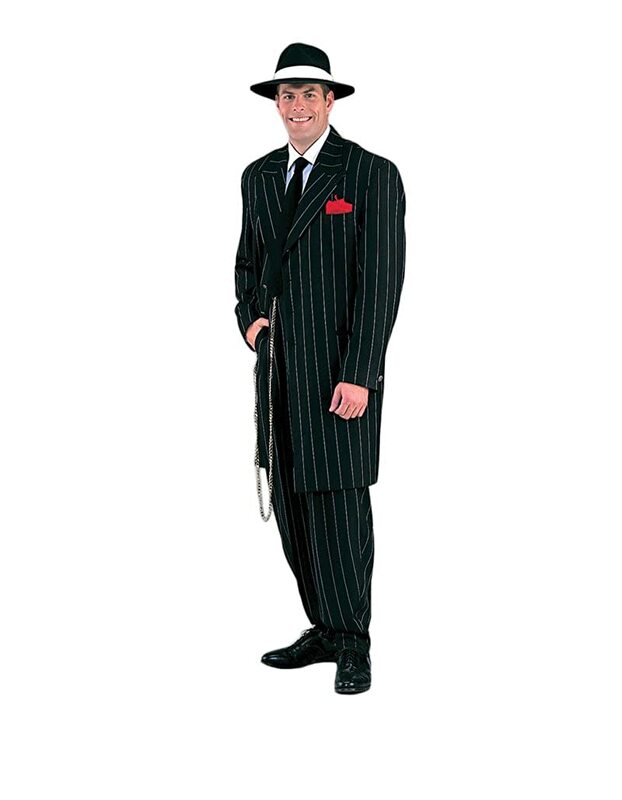 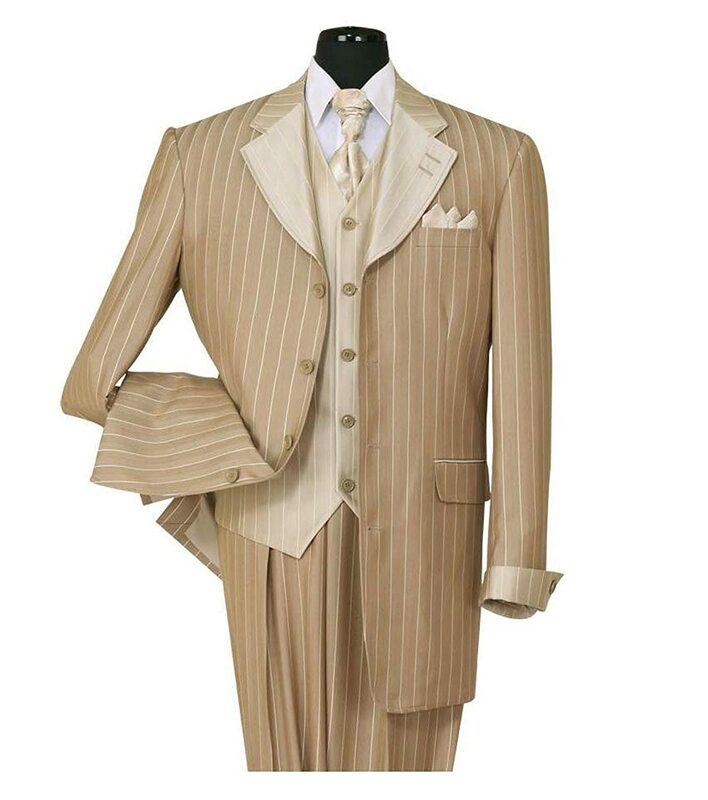 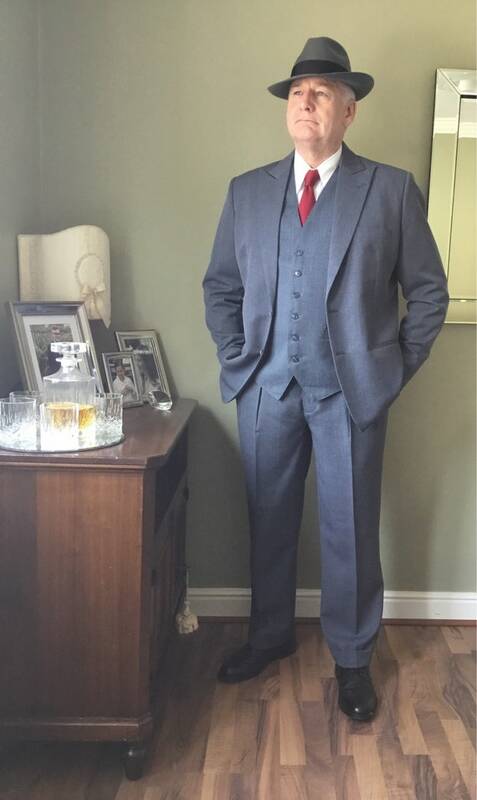 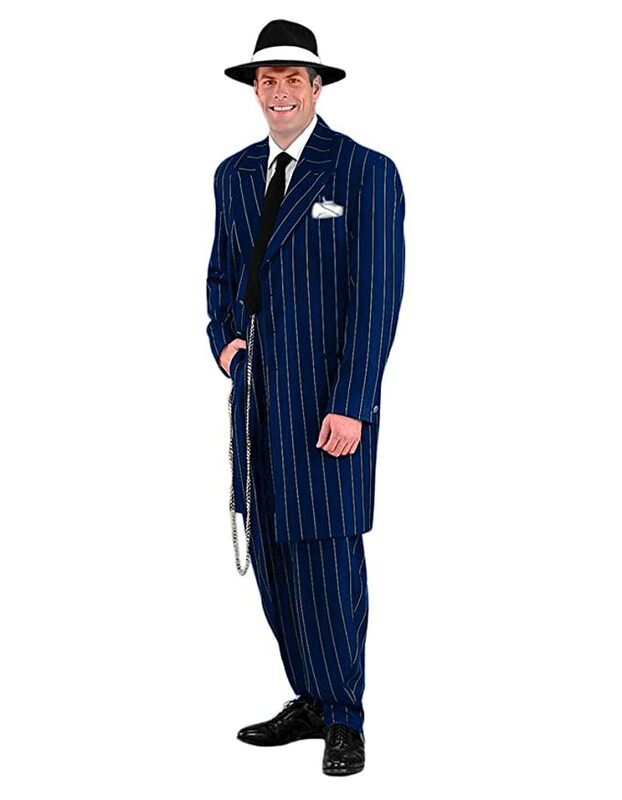 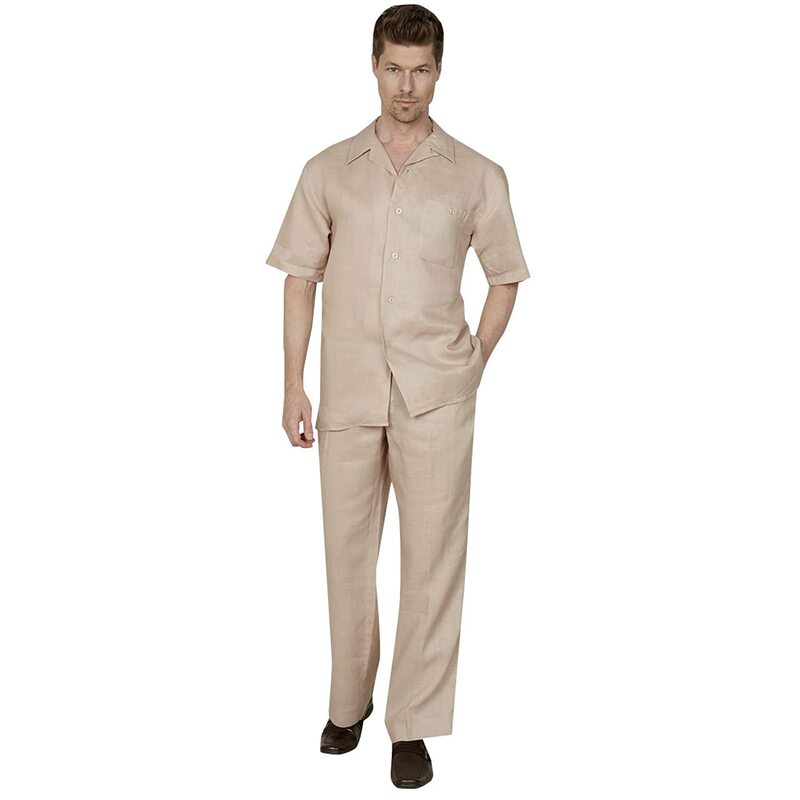 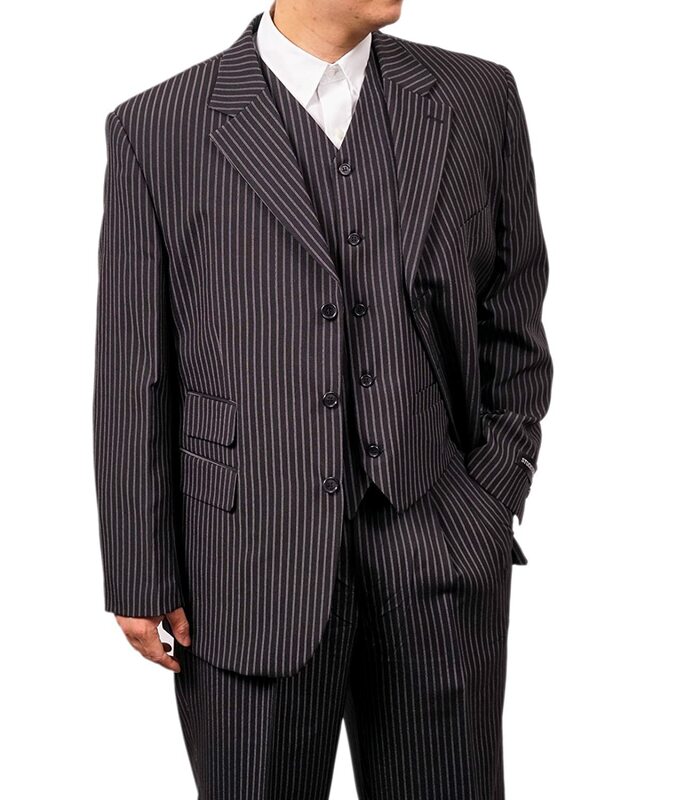 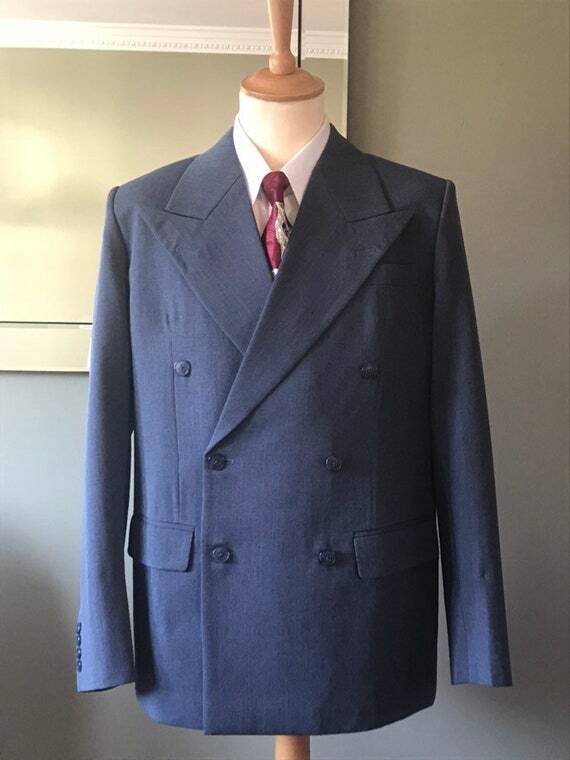 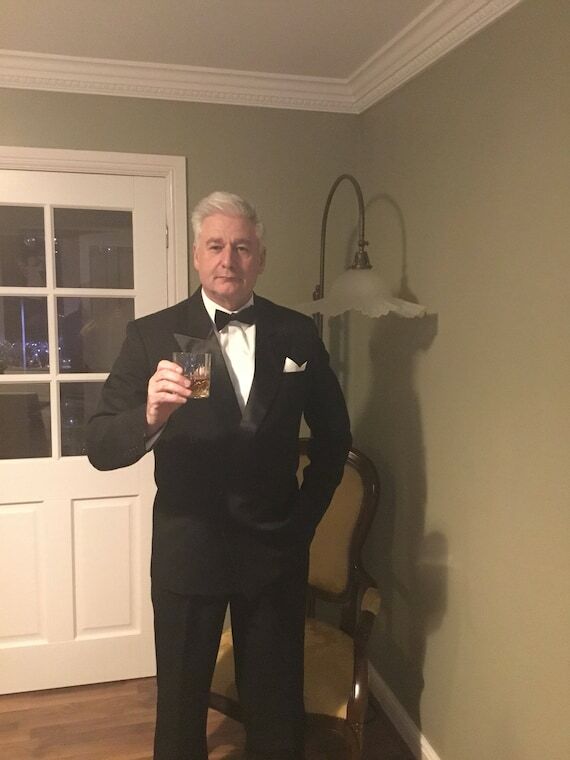 While vintage or repro 1940s men’s suits are usually too small for modern men these new classic fit men’s suits and Zoot Suits have some of the patterns, cut and styling of the 1940s that are a good enough look for most outfits. 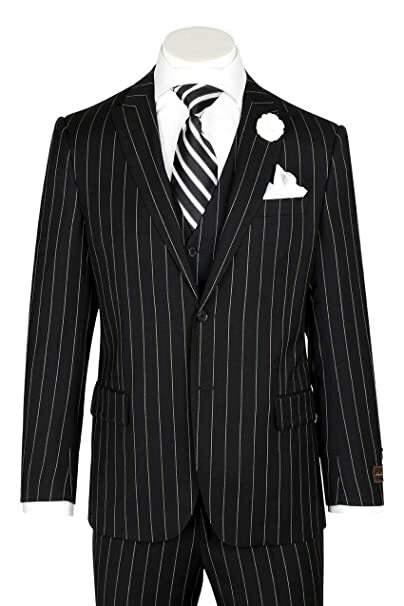 Consider adding a dress shirt, wide tie, two-tone shoes and fedora hat to complete your 40s suit attire.